QlikView is considered a leading data discovery product that allows users to create guided data analytics apps, and design insightful dashboards to meet their business intelligence challenges. The highlight of this system is its Associative Data Indexing Engine, where data insights are obtained with ease, and relationships are managed even more easily regardless of which sources they hail from. QlikView is different from query-based systems and tools as it offers guided data exploration to help you control the discovery process, and the application enriches your toolkit with a host of collaboration tools that you can use to analyze specs with your colleagues, or to simply share them. This BI platform is user friendly as you can create or deploy analytic apps without technical knowledge. This is the reason QlikView offers results faster than most other BI solutions. In our analysis, we found that QlikView is compatible with most widely used devices and integrates smoothly with a range of data systems. Companies can use this app to quickly respond to the challenges that come from their changing business environment, interpret figures and estimate results accurately, and view the big picture of their business’s health. Want to know more about this software? Our QlikView reviews discuss the software’s pricing, benefits and technical specifications in detail below. The main benefit of QlikView is you get full control over data discovery. The app is flexible to adapt to all business operations, and it lets you manage discovery in the way you want. In fact, it offers a tightly controlled analytic experience that helps organizations to discover important business insights, and use them to make smart decisions. 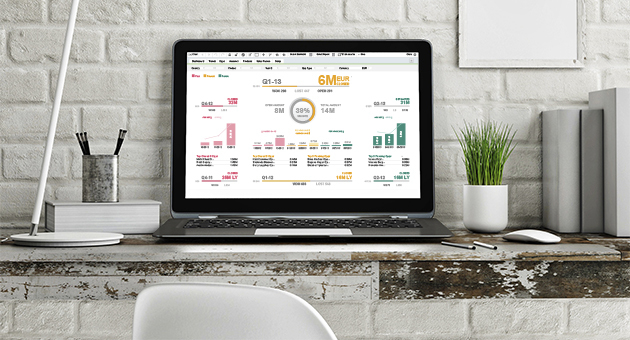 QlikView’s flexibility can be seen from the multiple designs, templates, and layouts it offers to help you create the tools you need to analyze your data. You can build custom apps using scripting and development offered in the QlikView Workbench. Another benefit is the solution uses extensive APIs to integrate seamlessly with other business systems and apps to provide you free flow of information. The one thing that we cite about this software in our Qlikview reviews is that it offers a secure process as it protects newly created analytic apps as well as data, and provides you a role and permission management functionality to help you control access to dashboards. You can use natural search to navigate complex info to enhance discovery, and the platform displays datasets in a comprehensive and consistent manner. We are also impressed with QlikView’s advanced and smart reporting functionality that uses consistent templates to help you generate custom as well as traditional reports, and easily embed them in MS Office documents. An important element of this app is its easy scalability and it is ideal for companies of all sizes and in any industry. Its functionality expands to keep pace with your growing business. To sum up, QlikView is a robust BI tool that is yet easy to use even for lay users without coding or technical skills. The QlikView review here is another great resource you may want to read to familiarize yourself with the capabilities of this software.